denotes the th binomial coefficient. Note, incidentally, that a lowpass filter having maximally flat group-delay at dc is called a Bessel filter [362, pp. 228-230]. 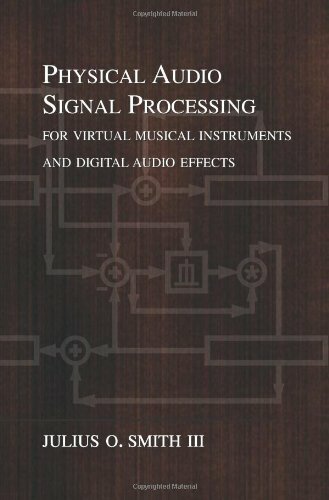 Effective for delay-line interpolation needed for tuning since pitch perception is most acute at low frequencies. Since Thiran allpass filters have maximally flat group-delay at dc, like Lagrange FIR interpolation filters, they can be considered the recursive extension of Lagrange interpolation. %  for delay D (samples). 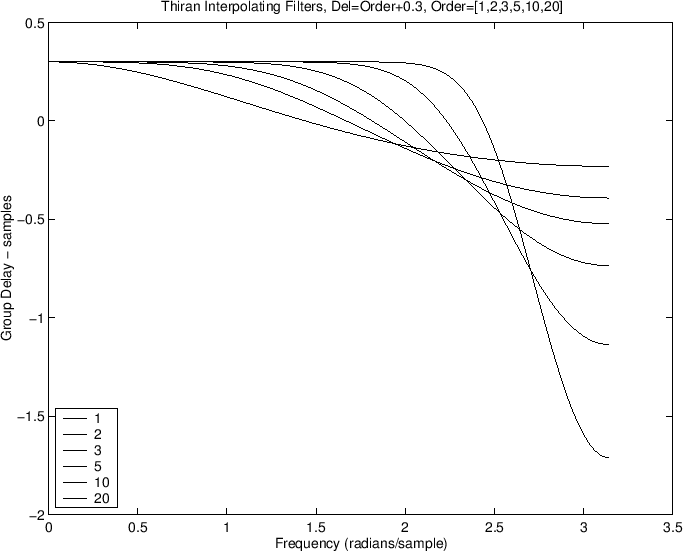 Figure shows a family of group-delay curves for Thiran allpass interpolators, for orders 1, 2, 3, 5, 10, and 20. The desired group delay was equal to the order plus 0.3 samples (which is in the ``easy zone'' for an allpass interpolator).